Our mission is to deliver the best quality services in the area of future technologies. They should surpass our customers’ expectations and fulfil their needs. We emphasise efficiency and reliability. On time, without failure, competitively priced. 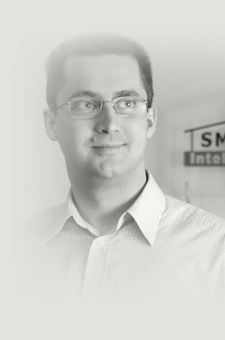 SMARTech – Inteligentny Dom (Intelligent Home) was established on January 23rd, 1998. The company was the first in Poland to offer home automation systems not requiring any additional cabling (X-10), as well as to promote and sell them via the Internet. During the first five years of our activity, our main objective was to inform the market of those new opportunities. Our media campaign in newspapers, magazines and on the Internet proved successful – the market for Intelligent House and Building projects and home automation has developed remarkably and the idea became more familiar. At that time we have evolved from an unknown company into the market leader, with the largest number of home automation projects developed. Our outstanding position on the market has been confirmed with an invitation to join the polish Business Centre Club, and with the distinction of the European Medal, awarded by the Office of the Committee for European Integration, for the excellence of our services. advice, consulting and training services. We constantly expand our offer, improve the service quality and extend our reach – we develop projects all over the country. We handle several dozens of projects simultaneously, which enables us to gain experience and knowledge very rapidly, and motivates us to introduce new ideas and innovations. We always work on new solutions, which will improve the Systems’ capabilities and make them even more attractive for our customers. In order to ensure best customer service, we form the SMARTech Group – a countrywide network of Licensed Technicians and Partners, dealing with customer acquisition, market analysis, offer preparation, system and equipment installation. The Group consists of several dozens of companies employing several hundred designers, engineers and programmers. We provide our Partners with technical assistance during system implementation, as well as with advice and training. I am sure that our work will spark still more interesting ideas and projects, as well as even better relations with You.